There is still time to register your team for the Corporate Cup. The deadline to register for the Cleveland Corporate Cup is Wednesday, May 30! Register your company now to compete against other companies in the Greater Cleveland area. Click HERE to register your team today! Want to get involved and help your team score some points? Volunteer! Each volunteer will count for 2 points toward your company's total Corporate Cup Score! (up to 10 points) Sign up HERE, and give your team that extra boost! The Tug Clinic date has been changed to Tuesday, July 24th @ 6:00pm. 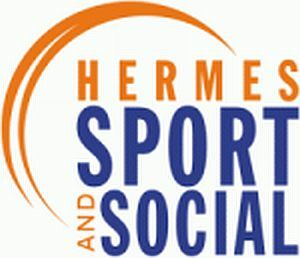 Stay in Shape with Hermes Sport & Social! VOLUNTEER SPOTS STILL OPEN FOR FINAL EVENT DAY! There are two volunteer spots open due to cancellations! 1 10k Relay Course Marshal spot & 1 Obstacle Course Re-setter spot Click HERE to sign up and get those last volunteer points of the challenge! Final Event Day Lunch Specials!